In the spring semester of 2018-2019, for the students of the Faculty of Fine Arts and Design, İzmir University of Economics, The social responsibility project course named IAED 366 ‘‘Collective Act’’ by Asst. Prof. Didem Kan-Kılıç was opened the first time. The course aims to prepare a social responsibility project that can help the needs of the society by concentrating the knowledge, experience and capabilities of the designers in the social and collective direction of design. At the same time, it aims to create a sustainable solidarity platform at the university level. In this context, a project was started to be developed with 18 children in Bayraklı 100th Year Primary School who were in need. 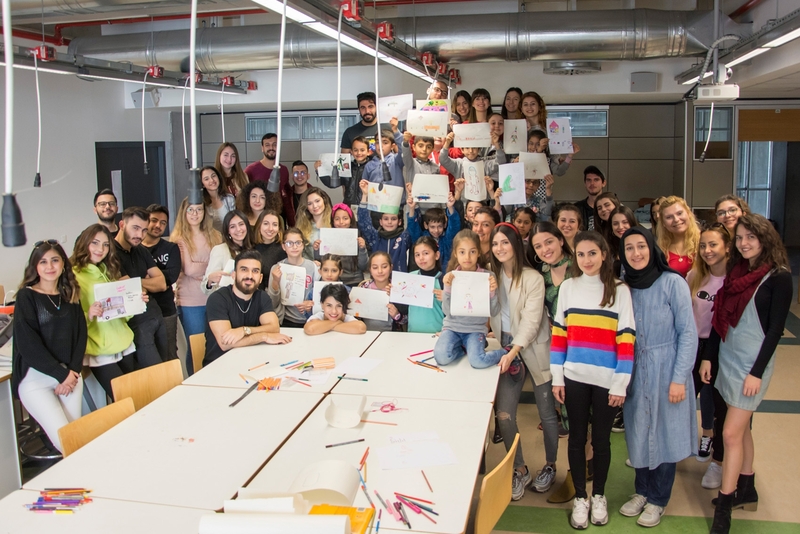 The students of the ‘’Collective Act’’ course, which is the helper of 18 children's dreams, took part in the workshop as the first step of the project. They asked the children to dream of a toy as a report card gift and to draw a picture of it. 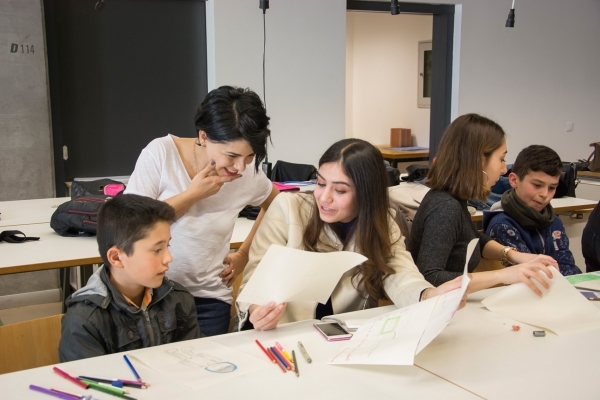 The second step of the project, children's drawings will be made ready for three-dimensional production by students and production process will be followed. 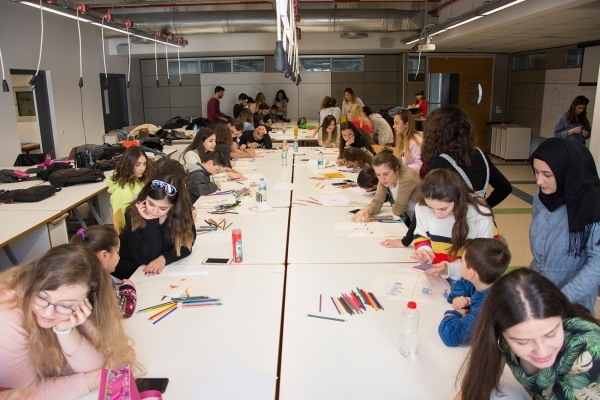 At the end of the semester, the 18 children will be invited to our university and they will take the toys they have imagined with their special packages designed by the students of the ”Collective Act“ course as a report card gift. You can follow the process of realization of this dream from the Instagram page ’’ ieuact4 ’.